Well, a restaurant in Los Angeles knew how much the people love avocados so they infused it with their burger. La Tostaderia, located in 317 S. Broadway, Los Angeles, California, is a restaurant that serves seafood dishes and snacks. Aside from seafood, their main focus is on Mexican food. So you now know what to expect here, a Mexican food with seafood as its primary ingredient and not your typical beef or pork. Hey, it’s really something good and delightful! If you are looking for tostadas and wanted something different but still have that towering taste, this restaurant is the best place for you to go! 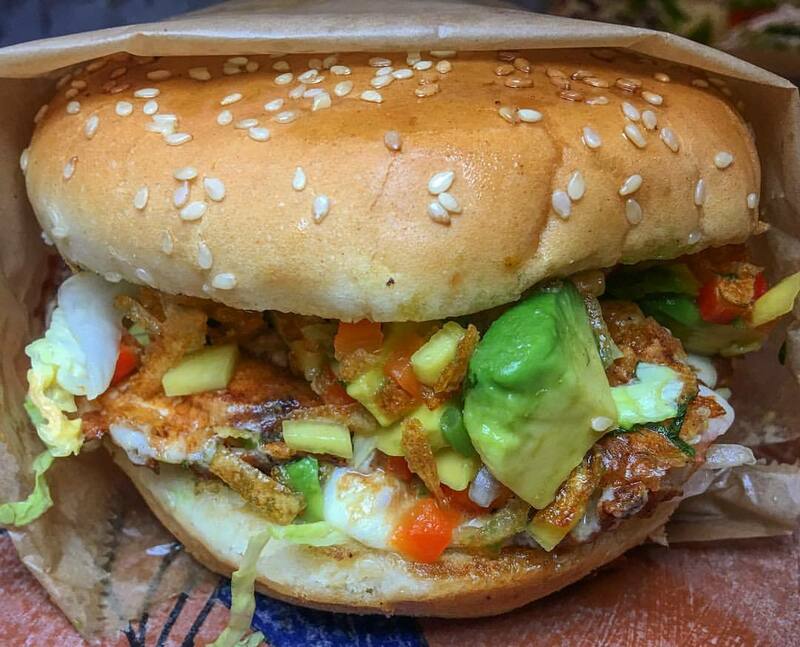 This restaurant is being noticed by some foodies due to its creation of a unique burger. How unique? You’ll know. This is made of your typical burger bun but what’s in the middle of those buns are really special. The meat on this burger is not your regular beef patty but its Mexican shrimp! Another thing is, this patty is not ground, so there is no extender which makes it healthier. You’ll get the real taste of shrimp in every bite. The shrimp is then topped with avocados! Yum! Avocados with shrimp? Well they managed to make it one delicious pair! The avocados are cut into cubes and mixed with tomato and some herbs which enhanced the taste of the avocado. The then it also has Oaxaca cheese which give it some saltiness, not too much but just enough for customers to love it more. Aside from these special cheese, the burger also has crispy potatoes. Yes, you won’t need to order a French fries together with this burger because the potatoes are in it already! The potatoes helps gives some crunch in every bit. This makes it more exciting to eat! Isn’t that one unique burger? The fusion of different flavour in one delicious burger that will give you an excellent dining experience. That exploding flavors from the unexpected mix of ingredients is truly amazing! Well, there are other dish in this restaurant that we are sure you’ll love as well. The have other meals with avocados, their seafood cocktail that is a mixture of several seafood mixed with avocados, tomato, cilantro and sea salt! 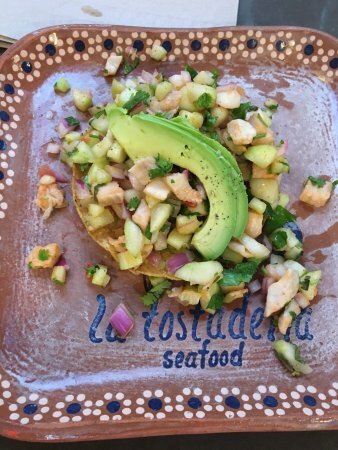 In one of their tostadas, you can also find an avocado, it is in Fish Ceviche. Their tacos won’t be left out when it comes to avocados as their Fried Fish Tacos has avocados on it as well! But the restaurant is not just about the avocados, you’ll also find several more seafood Mexican dishes one you visit the place! Be ready to experience a fresh taste of seafood when you visit them.